Work station trolley / transport - HMT20R series - i-lift Equipment Ltd. Packing - Handling - Logistics > Handling and Lifting > i-lift Equipment Ltd.
HMT20R series i-lift Equipment Ltd.
▲ Double sealed ball bearings. 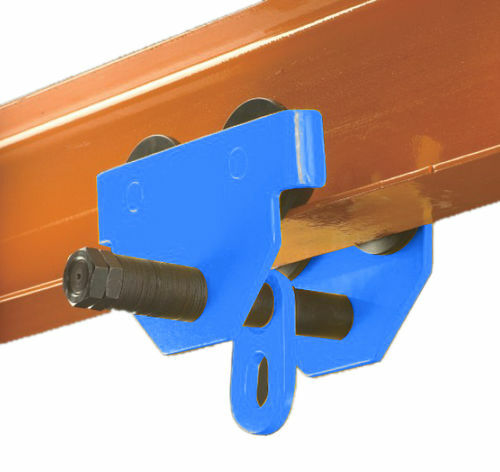 ▲ Adjustable to fit various sizes of flange and I-beams. ▲ Use on straight or curved track. ▲ Can be installed or removed at any point along the track. ▲ Conforms to CE safety standard. ▲ Conforms to ANSI/ASME safety standard.